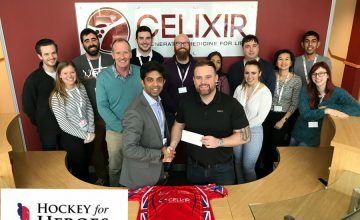 Hockey for Heroes, a supporting charity of Help for Heroes who raise money to help our injured and fallen Heroes, today announces a multi-thousand pound sponsorship renewal with Celixir, a leading British Cell Therapy company. Celixir continues as the charity’s main shirt sponsor for 2018-19, enabling Hockey for Heroes to expand its program to enable injured veterans to take part in adaptive sports and rehabilitation. Joel Forrester, Managing Director, Hockey for Heroes. 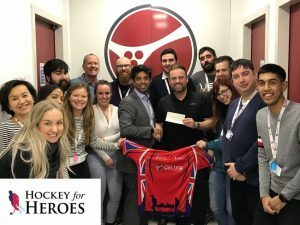 Hockey for Heroes was founded in 2012 and is currently made up of approximately 100 volunteers giving their time both on and off the hockey pitch and have raised over £120,000 for Help for Heroes through various events and challenges to date. 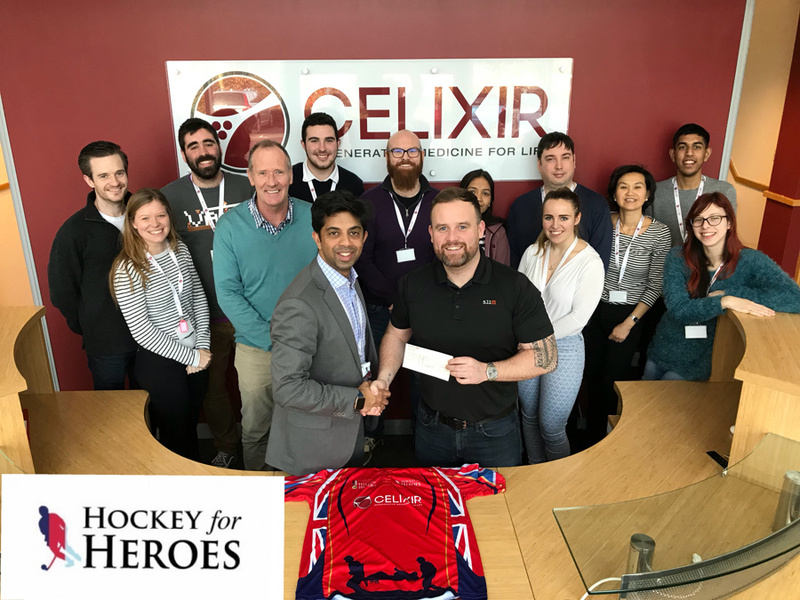 The Hockey for Heroes team continues to undertake tasks that mix a combination of exceptional physical exertion combined with playing hockey. In 2018, they plan to undertake their first ladies squad challenge, with the team completing 8 military exercises and playing 28 games hockey over an 8-day period. Throughout the tour, the squad of 25 will undertake various physical exercises set by a military instructor including log races, assault courses, interval runs and other physical challenges followed by playing up to four games of hockey per day; pushing the ladies to their physical and mental limits. Celixir is on a mission to change the lives of patients in need; we are dedicated to delivering medical firsts in specific disease areas with the creation of tissue-specific regenerative medicines from our unique technology platform. Our team of world-class scientists and biotechnology leaders devote their efforts to discovering breakthrough medicines that change the standard of medical care. 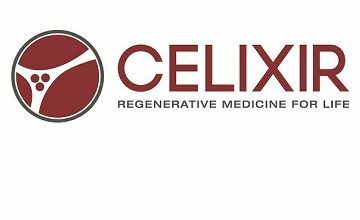 Sir Martin Evans, Nobel Laureate, and Ajan Reginald, former Global Head of Emerging Technologies at Roche, originally founded the company under the name Cell Therapy Ltd (CTL) in 2009. 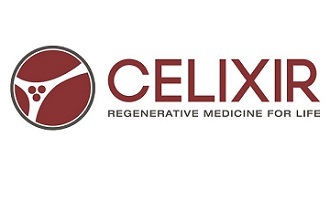 CTL was rebranded as Celixir in 2016.